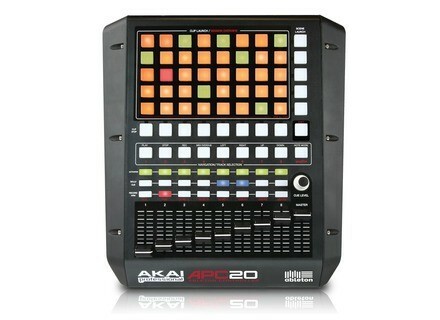 APC20, PAD Controller from Akai in the APC series. Bambalec's review (This content has been automatically translated from French)" Excellent, even (especially?) 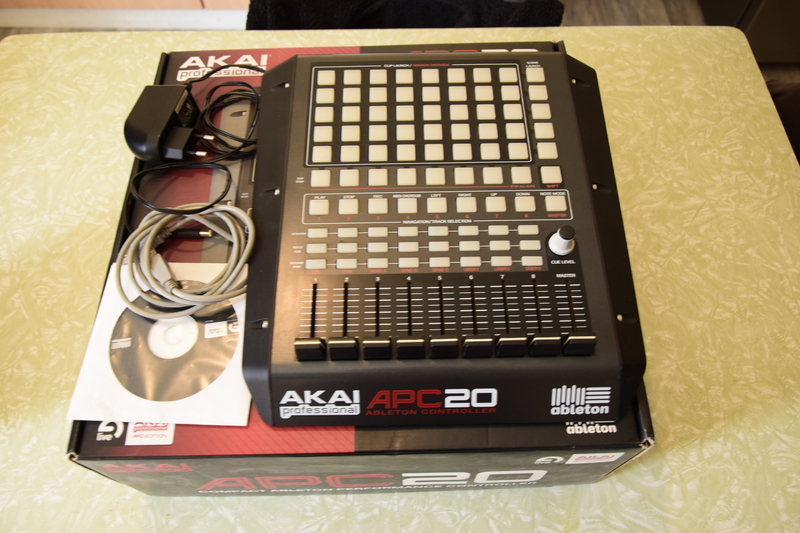 For a novice"
I use the APC20 for some months now, this is the first time I use such a tool and I do not even know initially Ableton or other software in this way. I started to computer music with this one and if the beginning was a bit tedious, I really do not regret it. After all, it is a musical instrument and it is not learned a snap, it takes work. I've tested the Ableton Push of a friend who is much more comprehensive but also much more expensive, and I have concluded that the quality / price ratio is excellent APC20. It offers a lot of possibilities with Ableton for a truly personalized experience. The biggest complaint I can make is it no sequencer but it is mitigated by Max For Live because you can add one that way. The buttons can be a little too hard for a truly fluid composition but got used to it quickly. I recommend it to every beginner-es. I intend to soon move to the higher range, perhaps with the APC40 just to stay on familiar ground. Brandski's review (This content has been automatically translated from French)" outdated, incomplete"
I used it some time as I quickly was limited. Colored pads are very convenient. I would not recommend this controller is now obsolete. 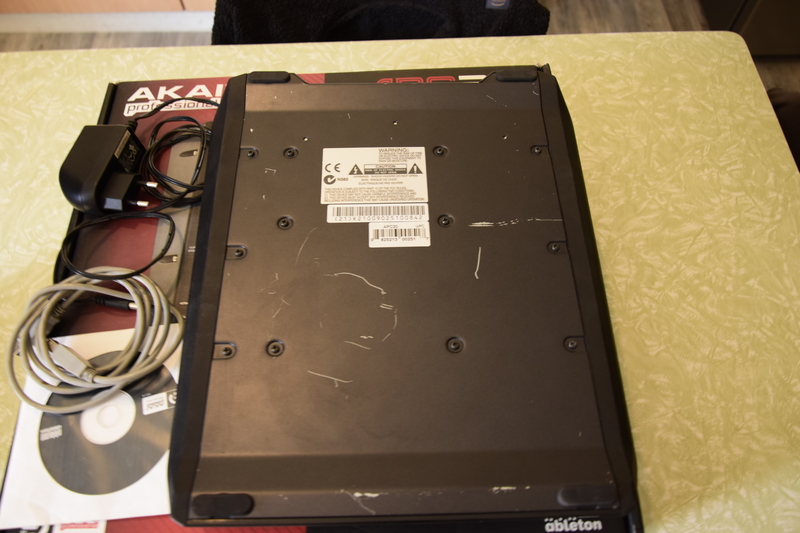 It is better to be equivalent to a lauchpad or above with an APC40. BarthSimpson56's review (This content has been automatically translated from French)" Very satifait purchase"
It's been a year since I use is my first controller so I have no basis for comparison. It is relatively stable, recognized automatically Ableton Live 8. I note all the same after a year of use, one of the faders no longer transmits the signal correctly afternoon of blow back in service, kick out of luck. The lighting is very nice touch too. I still go to the APC 40 for comfort. Anonymous 's review (This content has been automatically translated from French)" Perfect product"
I received a week ago, I thought to intro version of ableton but because it is bundled with the APC20 for a fairly reasonable price finally, I cracked! 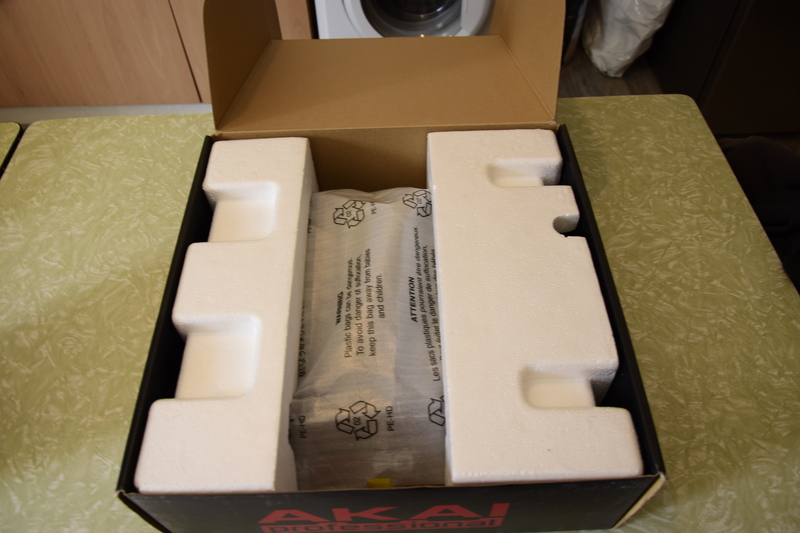 The product is (as often with Akai) very well done and gives a real feeling of solidity with thick rubber sidewall. 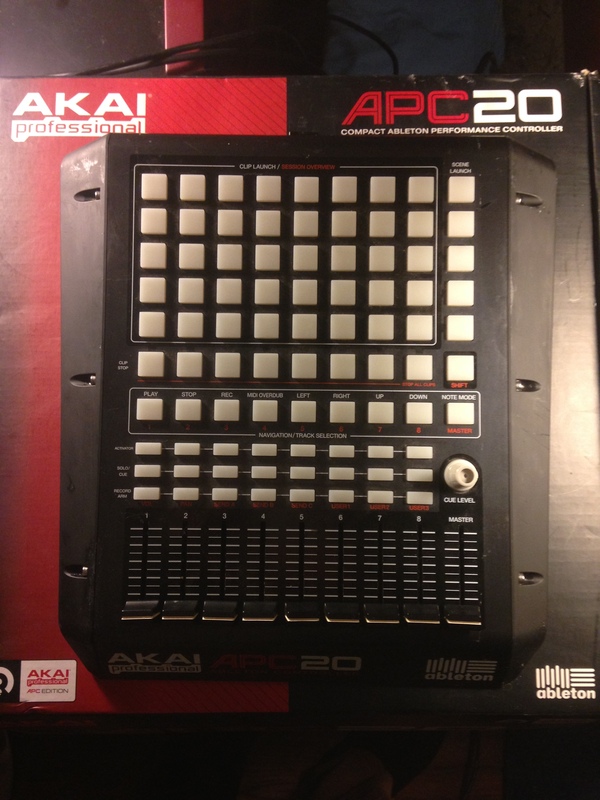 The APC20 is plug and play, both on mac and pc controllers are well thought out, there is also a mode "note" very valuable that can be used as a traditional keyboard. So I might even sell my midi keyboard, but we must admit that we are a little lost because of the lack of reference to play (not black, obviously), more the APC20 does not support the velocity. This is still a great all in one for those who mainly use Ableton Live. The price / quality ratio seems very good. 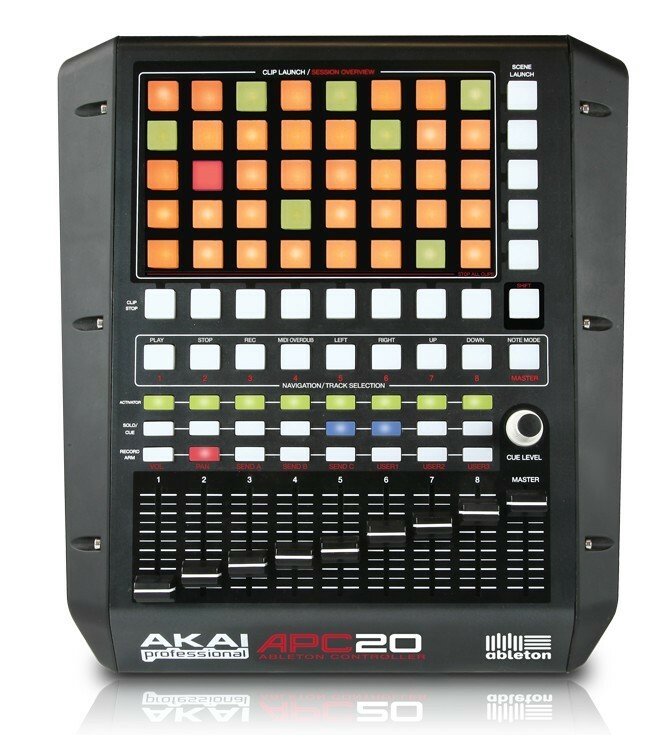 Ableton and Akai Professional have announced the APC20, Akai Professional's second dedicated controller for Ableton Live.